What is this Promissory Note for? A student loan is a loan made by a financial institution or private party to someone who wants to return to school. The promissory note lists the amount provided to the student and the terms of repayment. It is often signed by both the lender and the person receiving the funds. A personal loan is a loan made to someone by a financial institution or another person so that the recipient can use the money for a use that's not always specified to the lender. Generally, the loan is used for "personal" reasons which is how the loan name is derived. A promissory note outlines the amount provided to the recipient as a personal loan and the terms of repayment. Promissory notes for personal loans are signed by both the lender and the recipient. A business loan is money provided by a lender, venture capitalist, or even a private party to help someone grow their business. The money is earmarked specifically for business use. A promissory note explains the purpose of the money, the amount that was provided, and the terms of repayment. A promissory note is signed by both the lender and the recipient. Sometimes, a promissory note for a business loan will contain a personal guaranty that assures the lender that the recipient will repay the loan even if something happens to the business. A real estate purchase is often recorded in a promissory note. It will describe the property, the names of the parties involved in the purchase, the amount of the purchase, and the terms of repayment. Many promissory notes for real estate purchases are state specific. So, in addition to both parties signing the promissory note, you want to ensure you've met all the legal requirements in your state to document the real estate sale. A vehicle purchase is one of the most well-known uses of promissory notes. It is used if a car will be financed by a lender, a private party, or from a "tote the note" car lot. The promissory note will describe the vehicle, the amount of the sale, and the terms of repayment. The promissory note is often signed by the person agreeing to pay for the vehicle. Because a promissory note outlines the terms of a sale that is essentially being made because someone promises to pay for the item over time, it can be used for almost any sale. 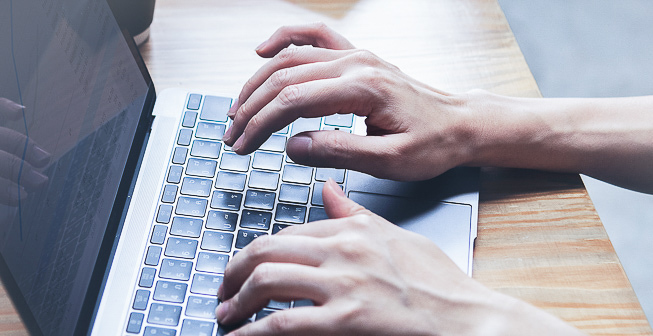 Regardless of what is sold, you should include a description of the item, the date the sale occurred, the price of the item, and the terms of repayment. Depending on the item sold, the promissory note may need to be signed by one or both parties. Eligible undergraduate students and eligible graduate/professional students requesting unsubsidized loans should use the Subsidized/Unsubsidized Master Promissory Note. Graduate/professional students who do not qualify for unsubsidized loans and wish to apply for a PLUS loan should use the Graduate/Professional PLUS Master Promissory Note. Eligible parents of eligible dependent undergraduate students requesting a PLUS loan should use the PLUS Master Promissory Note for Parents. IOU: An IOU is an informal written note between a borrower and a lender. The lender promises to pay the amount loaned to them by the lender. Loan Agreement: A loan agreement is a written contract between a borrower and lender promising the repayment of a loan by the borrower to the lender. However, it typically involves complex repayment and interest terms, fee structures, one or more interest rates and payment amounts, a maturity date, and legal remedies for the lender if the borrower doesn't pay. A promissory note is a legal document related to short-term loans and loan payments. This is a promise in writing. When it contains certain elements specific to the state in which it is created, it is legally binding. It may detail the repayment conditions or it may be open-ended. A promissory note form is also referred to as a note payable or just a note. As a negotiable instrument, it should include the amount of money (the amount given to the person promising to pay it back), the interest rate, and the specific terms of repayment. The payee's rights in the event of a default are usually outlined. A promissory note form is typically used for personal loans, to loan money, real estate transactions, business loans, and student loans. The amount of money being loaned. This is often referred to as the principal balance. It is the amount of money loaned without calculating interest. The interest rate charged on the loan. The amount of interest that may be charged on a loan. This is a yearly interest rate. Every state has its own law on the maximum amount of interest that may be charged. It’s important that you review the usury law for your state to ensure that you’re following the law as a lender. Failure to comply with the state’s law could mean that you’re susceptible to both civil and criminal charges brought forth by the state. Will there be a late fee? If you plan to charge a late fee, it’s important that the amount is documented in the promissory note. You should also list when the late fee will be assessed. This helps the borrower understand if there is any sort of grace period. Is the promissory note secured? A secured promissory note means that the lender gains the legal right to collect property known as collateral. The collateral should be documented in the agreement. The title must also include the word “secured” so that if a legal dispute occurs, the lender is better able to protect their right to the collateral. If a note does not include collateral, it is known as unsecured. There is no property that the lender may collect to pay for all or part of an outstanding balance if the borrower defaults. Repayment information. The note should include how the loan will be repaid. Will it be repaid in full on a certain date? Will it be paid through installments? For installments, list out when those payments are due and the amount for each payment. Default. Another important term is a default clause. This clause explains what happens if the borrower doesn’t pay as agreed or doesn’t follow other terms of the agreement. Is there a co-signer? If the borrower has a co-signer, the co-signer must also be included in the contract. They must also sign and date the contract. That is the only way they will become legally responsible if the borrower cannot or does not pay. Before you enter into this legally binding contract, perform a credit check on both the borrower and the co-signer. You have no other way to know whether the borrower and co-signer are being truthful with you about their financial situation or their debt. A credit check can help you determine whether the borrower is a good financial risk. Before you can run the credit check, you’ll need the borrower and co-signer to sign their own authorization forms. 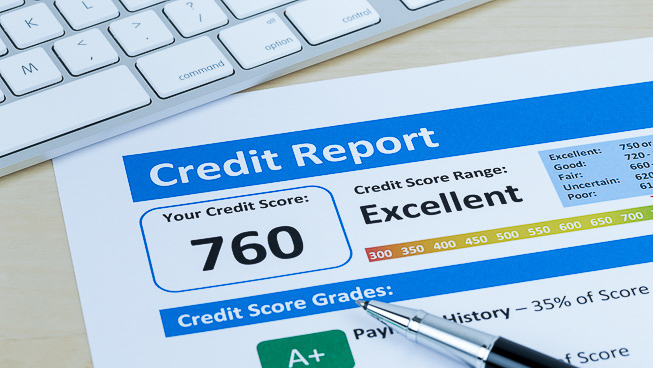 There are three main credit bureaus: Experian, Equifax, and TransUnion. Experian will not charge you anything as a lender, but the borrower and co-signer will each need to pay $14.95. Equifax charges a monthly fee, but the amount of the fee depends on whether you’re an individual or a business. TransUnion also charges a monthly fee that depends on whether you’re an individual or a business. After you review the credit report of the borrower, you must decide whether they are a good financial risk. It could be that the borrower has no credit or limited credit. It could be that the borrower has credit that is less impressive than you’d like. If you would like to move forward and provide the loan, you must determine whether you’ll require collateral, a co-signer, or both. The use of collateral is known as security. If you require collateral, make sure that you describe it in the note. An example of the most commonly used collateral is a vehicle. When someone agrees to buy a car and to make payments on it, the lender can repossess the vehicle if the borrower doesn’t pay. The vehicle is the security or the collateral. A co-signer is someone who will be legally obligated to fulfill the terms of the promissory note if the borrower can’t or doesn’t do so. You’ll want to perform a credit check on this person, as stated earlier. Their name and role should be included in the note. They must also sign and date the note to agree to their obligations as the co-signer. Add the terms you learned about earlier into the promissory note. If you’re using a template, you’ll find that this is quite an easy task. If you’re drafting the entire document on your own, make sure you include all of the key elements. The last step to draft the agreement is to have the parties sign and date it. Most states do not require the majority of promissory notes to have witnesses or to be notarized. They generally just require the borrower and the co-signer to sign and date the document. Lenders aren’t required to sign the agreement in most states, but it also won’t hurt anything if the lender also signs it. It is the borrower’s obligation to follow the repayment agreement. If they don’t, the lender may be able to demand immediate repayment of the outstanding balance, depending on the terms of the agreement. If there is a co-signer, this person is responsible for payments not made by the borrower. If the loan is repaid in full, you will provide a loan release form to prove that all of the payments were made by the borrower. 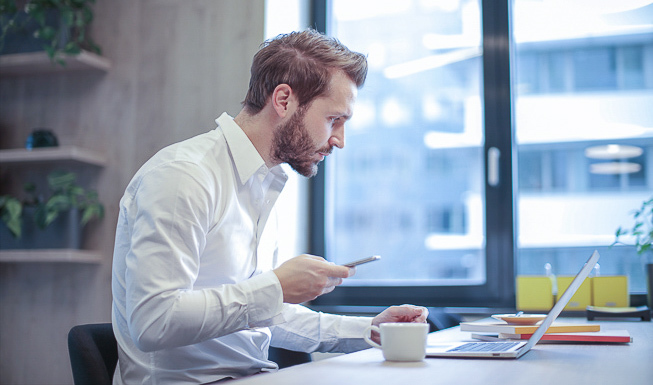 For late payments, you may want to send a demand letter that creates evidence of both the missed or late payment as well as your attempt to get the money owed to you. You may also assess the late fee you included in the agreement. The letter should also inform the borrower how much time they have before they will be considered to be in default on the loan. For defaults, you’ll need to review the terms of your agreement. If the note is secured, you may begin the process of collecting the collateral. 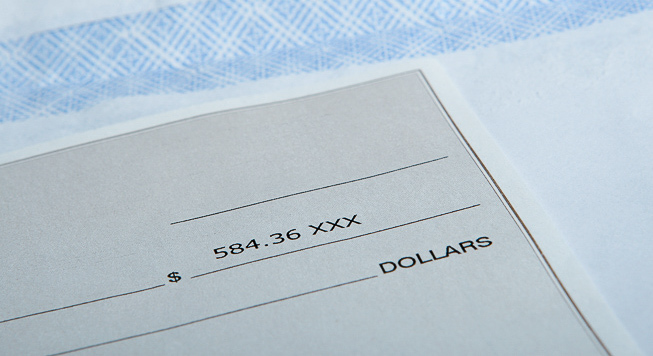 Depending on how much is owed, you may be able to file a small claims lawsuit. The maximum recovery for small claims lawsuits vary from state to state. You’ll want to contact your district court and ask about the limit. Even if what is owed to you is greater than the limit for the small claims court in your area, you can still file a lawsuit. Generally, the court fees paid to file the suit will be more expensive than that of small claims court. Create a free Promissory Note in minutes with our professional document builder. AL – 8% – § 8-8-1 In Alabama, the legal yearly interest rate in a contract may not be more than 8%, that is $8 of $100. However, if there is a loan or forbearance on money, goods, or actions most contracts cannot have an interest rate of greater than 6% unless otherwise agreed to in a written contract. AK – 10.5% – AS 45.45.010 In Alaska, the maximum legal interest rate is 10.5%. However, the interest rate may not be more than five percentage points above the annual rate set by the 12th Federal Reserve District on the day that the contract is created. AZ – 10% – § 44-1201 In Arizona, a lender may not charge more than 10% unless the lender and borrower agree to a higher interest rate in writing. Collecting interest through a judgment can only be done if the lender proves that the loan exists. AR – 5% above the Federal Discount Rate – § 4-57-104 The maximum legal interest rate that may be charged in the State of Arkansas is a rate that is 5% above the Federal Discount Rate at the time the loan is memorialized. The parties may agree to any interest rate in writing as long as it does not exceed any interest that is set forth in the Arkansas Constitution Amendment 89. CA – 10% – Article XV The California Constitution governs the maximum legal interest rate that may be set for loans. It states that personal loans, family loans, or loans that are made on behalf of household needs may not be more than 10% per year. However, the California Constitution states that the 10% max rate does not apply to the purchase, construction, or improvement of real property even if that action would benefit a person, family, or household. CO – 12% (Consumer), 45% (Payday Loans) § 5-12-101 thru 5-12-103 Consumer loans may not exceed a maximum interest rate of 12% per year. Payday loans may not exceed 20% interest for the first $300 and 7.5% for any excess above that. However, the most interest that may be charged on a payday loan is 45%. CT – 12% Chapter 673 With the exception of pawnbrokers, no more than a 12% interest rate may be charged on a loan per year. If the agreement is not in writing, no more than 8% interest may be charged each year. DE – 5% above Federal Reserve Discount Rate § 2301. The State of Delaware limits the legal interest at a rate of 5% above the Federal Discount Rate at the time the loan is made. If the loan is greater than $100,000, there is no limitation on interest rate if the loan doesn’t have some sort of security, such as a mortgage against the main home of the borrower. FL – 18% On Personal Loans Less than $500,00. 45% On Personal Loans Greater Than $500,000 § 687.03 For personal loans that are for less than $500,000, the maximum amount of legal simple interest that may be charged in the State of Florida is 18% per year. For loans greater than $500,000, the maximum yearly interest rate is 45% according to 687.071. GA – 16% On Loans under $3,000 Title 7, Chapter 4 If there is no written contract, the State of Georgia limits the yearly interest rate at 7%. For loans of $3,000 or less, the legal maximum interest rate is 16% per year. For loans greater than $3,000 but less than $250,000 the parties may agree to any interest rate in writing. HI – 12% § 478-4 If there is no contract that lists an interest rate, the maximum yearly rate is no more than 10% (478-2). Additionally, written contracts for consumers or home business loans that do not qualify as a credit card agreement and that have a written contract may not charge more than 12% yearly interest. ID – 12% § 28-22-104 If there is no written contract that lists an interest rate, the maximum amount of yearly interest that may be charged under Idaho usury law is 12%. Judgment interest is limited to 5% plus the base rate that was in effect as interest agreed to in the original contract at the time the judgment is entered. IL – 9% 815 ILCS 205/4 Illinois usury law states that the maximum amount of interest that may be charged is 9% per year for consumer loans. There are some exceptions as indicated within the body of the law. IN – 21% On Loans Less Than $50,000 § 24-4.5-3-201 For consumer loans, the maximum amount of yearly interest rate is 36% on loans that are for $2,000 or less, 21% on loans that are more than $2,000 but less than $4,000, and 15% for loans greater than $4,000. Garnishments for unpaid loans may not begin until the creditor obtains a judgment. IA - 5% § 535.2 In Iowa, the maximum amount of legal interest that may be charged each year on a consumer loan is 5% unless the parties agree in writing to another interest rate in certain types of loan arrangements, such as buying or refinancing a home. It is important to note that the legal maximum interest rate changes each month based on a 2% point increase on the average ten-year maturity interest of US notes and bonds. KS -15% § 16-207 The maximum amount of yearly interest that may be charged in a written contract that memorializes a consumer loan is 15%. However, if there is no interest rate listed in the contract (or if there is no written contract), the maximum legal yearly interest rate is only 10% (16-201). KY -8% § 360.010 The law states the the legal maximum for yearly interest is 8% unless the parties agree in writing to a higher interest. The higher interest cannot be more than 4% above the discount rate on 90 day commercial paper for the Federal Reserve Bank in the appropriate district or 19%, whichever is less. LA -12% RS 9:3500 The maximum amount of yearly interest is capped by the State of Louisiana at 12%. Any lender who charges more than this amount of interest may be sued. ME – 6% 9-B §432 The maximum amount of yearly interest in the State of Maine is 6% unless the parties agree to another rate in writing. Creditors may not garnish a debtor until they receive a judgment. MD 6% § 12-102 The law states that the yearly interest amount is capped at 6% for loans unless otherwise specified by law. An example of such a law would be for a home loan. MA -20% § M.G.L.A. 271 § 49 In the State of Massachusetts, the maximum yearly interest rate for a loan of money or property that involves a contract is 20%. Lenders who exceed this rate are subject to imprisonment and fines. MI -7% § M.C.L.A. 438.31 The maximum yearly interest rate that may be charged is 7% if that amount is agreed to in writing. Otherwise, the interest rate can be no more than 5%. MN – 8% § M.S.A. § 334.01 The maximum amount of yearly interest that may be charged for consumer loans is 8% if the parties agree to the rate in writing. Otherwise, the maximum amount is 6%. MS – 8% § Miss. Code § 75-17-1 Mississippi Code sets the legal yearly interest rate at 8% per year. However, the borrower may agree in writing to pay a finance charge that may raise their interest rate to not greater than 10% per year or 5% more per year than the discount rate. MO – 10% or 3% Above Long-Term U.S. Government Bond Yields (Whichever Is Greater) § Mo. St. Title XXVI CH. 408.030 When agreed to within the contract, the parties may agree to a yearly interest rate of no more than 10% or to a rate of interest that isn’t higher than the current market rate (which is calculated at 3% above the amount of interest charged on long-term US bonds). MT – 15% or 6% Above The Federal Reserve Prime Rate (Whichever Is Greater) § MT ST 31-1-107 Montana caps the yearly interest rate at 15% or an amount that is 6% above the Federal Reserve’s prime rate as published. Lenders who charge more than the maximum amount of interest could be court mandated to pay up to double the entire amount of interest charged on the loan. NE – 16% § NE ST § 45-101.03 The parties in a Nebraska contract can agree upon any interest rate as long as that rate isn’t more than 16% per year. However, there are exceptions to this. NV -Rate equal to the prime rate set by the largest bank in Nevada plus 2% § NV ST 99.050 Parties entering into a contract may agree to any yearly interest rate within the document. If there is no contract or if interest isn’t addressed, the interest rate is equal to the prime rate set by the state’s largest bank (deemed by the Commissioner of Financial Institutions in January and July) plus 2%. NH – 10% § NH ST § 336:1 The State of New Hampshire limits interest at 10% if there is no contract. Otherwise, parties may agree to any interest rate if it is documented in a contract. NJ – 16% § NJ ST 31:1-1 If there is no written contract or if interest isn’t addressed in a contract, the maximum yearly interest rate that may be charged is 6%. For written contracts, the interest rate may be agreed to but also may not exceed 16%. There are multiple exceptions under the law. NM – No Limit On Written Agreements § NM ST § 56-8-3 If there is no written agreement, the maximum amount of interest that may be charged is 15%. While the parties can agree to any interest rate, it’s worthy to note that there are penalties for lenders who are found to be charging an absurd amount of interest. NY – 16% § McKinney’s Banking Law § 14-a Lenders may not charge more than 16% interest per year. If a lender charges more than 16%, they may be tried for civil usury. NC – 8% for loans under $25,000 § 24-1.1 For consumer loans amounting to less than $25,000, the maximum interest rate that may be charged per year is 8%. However, home loans secured through a mortgage or first deed of trust, loans from savings and loan associations, loans to corporations, and equity lines of credit are exceptions to the law. ND – 6% § ND ST 47-14-09 The State of North Dakota automatically assumes that interest is owed on a contract unless the contract specifically states that there is no interest. THe maximum amount of interest is 6% per year. OH – 8% On Loans Less Than $100,000. § OH ST § 1343.01 The yearly interest rate in Ohio is capped at 8% for loans of $100,000 or less. However, there are some exceptions to the interest rate such as a residential mortgage. OK – 6% § OK ST T. 15 § 266 Unless otherwise agreed to in a written contract, the maximum amount of interest that may be charged by a lender per year is 6%. If the interest rate isn’t listed in the contract, it is calculated at the annual rate of 6%. OR – 9% § OR ST § 82.010 Oregon law states that the maximum amount of interest that may be charged in a year is 9%. This is regardless of whether there is a written contract for the loan. PA – 6% On Loans Less Than $50,000. § PA ST 41 P.S. § 201 In Pennsylvania, loans of less than $50,000 may carry no higher than a 6% interest rate. Business loans of any principal amount may have an interest rate that is greater. RI – 21% § RI ST § 6-26-2 The maximum amount of yearly interest that may be charged by a lender in Rhode Island is 21%. The alternate interest rate is 9% plus the domestic prime rate as published in the Wall Street Journal at the end of every month. SC – 12% § SC ST § 37-3-201 Consumer loans may not have a yearly interest rate higher than 12%. Lenders may also rely on a finance charge in addition to interest. SD - 12% § SD ST § 54-3-4 & SD ST § 54-3-16 If there is no interest rate specified in the contract, state law presumes that interest is owed unless the contract states there is no interest. The legal maximum that may be charged for interest in regards to consumer loans is 12%. TN – 10% § TN ST § 47-14-103 The State of Tennessee limits the maximum interest rate for most transactions at 10%. This is considered a fixed interest rate. TX – 10% § TX FIN § 303.002 Texas Finance Code sets a 10% maximum on the yearly interest that may be charged. Lenders who violate this could face serious legal penalties. UT – No Limit § UT ST § 15-1-1 Utah has no limit on the amount of yearly interest that the parties may agree to in the contract. However, if no interest rate is specified it will be treated as a 10% yearly interest rate. VT – 12% § 9 V.S.A. § 41a In Vermont, the maximum allowed yearly interest rate is 12%. However, certain types of lenders may charge as much as 18% by law. VA -12% § VA ST § 6.2-303 The State of Virginia does not allow a yearly interest rate to exceed 12% unless it fits certain limitations as noted in the law. For judgments, the annual interest rate is 6% or the lawful interest rate in the contract, whichever is higher. WA – 12% or 4% Above The 26 Week Treasury Bill (Whichever Is Greater) § WA ST 19.52.020 The maximum amount of yearly interest that may be charged by a lender is 12% or 4% over the yield of a 26 week treasury bill. Set up charges for loans may not exceed 4% of the loan balance or $15, whichever is less except in the case of loans of $100 which has a charge that may not exceed $4. WV - 6% § WV ST § 47-6-5 In West Virginia, the legal maximum interest rate per year is 6%. There are some exceptions to this rate defined in the State’s code. WI – 12% § WI ST 138.05 Wisconsin’s maximum yearly interest rate as set by law is 12%. In some instances interest may be prepaid by the borrower without penalty. WY – 10% § WY ST § 40-14-310 In Wyoming, the maximum yearly interest rate for consumer loans, other than supervised loans, is 10%. Additional financing charges are legal. Identify the parties involved: Who is the borrower? Who is the lender? Only the borrower is legally required to sign the note, but it’s good practice to have all parties sign, especially if you’re entering into an unsecured agreement. With an unsecured agreement, there is no collateral. So, the only guarantee of payment is the signature of the borrower. However, a signature from the lender shows their willingness to take the risk of an unsecured loan. Additionally, be sure to check local and state laws for any additional requirements regarding signatures, witnesses, and whether it must be signed in front of a notary. Repayment schedule: How will the money be repaid? Weekly, monthly, annually, or at the borrower’s discretion? When must the entire loan be repaid? When is the final payment due? If the payment structure requires a large payment, or “balloon” payment, when is that due? Penalties for late payment or default: Hopefully, this is a non-issue, but a note needs to explain what happens for late payments or lack of payment. For example, is there a financial penalty for late payment? If so, how much? If property is collected as collateral at the outset of the loan, does that property become the lender’s? If so, after how long or how many missed payments? Additionally, lenders should also strongly consider using language that indicates that “in the event of default, the Borrower shall pay all costs of collection and reasonable attorney fees.” Again, hopefully this is a non-issue, but if you do end up in court over a defaulted note, that language provides the lender with legal protections to recuperate the money they are owed and the related costs of collecting it. 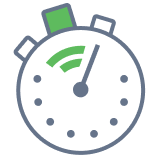 Acceleration: Acceleration means that the loan becomes immediately due in full if a certain named trigger occurs. Ask these simple questions. What happens if the borrower wants to pay off the loan on an earlier time frame? Is there financial incentive to do it? What if one of the parties die? What if the borrower enters bankruptcy? Collateral: Frequently asked questions about collateral include the following. Is the borrower putting up collateral? If so, what? If there is security, consider adding a security agreement that describes the collateral. Installment plan: Regular payments (e.g. monthly) of equal amounts, typically including principal and interest, are made until the loan is repaid. Installment plan with balloon payment: The borrower agrees to make regular payments (e.g. monthly) at a typically low-interest rate for a period of time (e.g. two years). 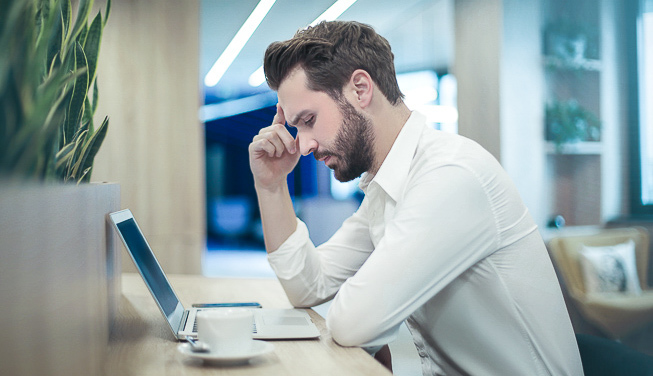 At the conclusion of that timeframe, the borrower has the option of re-paying the remainder of the loan in a single balloon payment or refinancing the remainder of the loan, typically at a higher interest rate. Lump sum payment by a specified date: Commonly used for smaller loan amounts, the borrower agrees to repay the lender by a certain date (e.g. “The Borrower shall repay the lender $1,000 at 5% interest, or $1050, within one-year of the issue of the loan). Due on demand: Most commonly used between family and close-friends. Due on demand does not outline a timeline for repayment. The borrower is required to repay the lender at their own discretion, in regular or irregular installments, a lump sum, etc. What are the legal considerations of signing a promissory note? Putting your signature on anything is a serious matter. It should never to be taken lightly. If you're being asked to sign a promissory note, you might think it's no big deal to just sign it. However, you should know that there are legal considerations you should keep in mind before and after you sign it. Being aware of these considerations will help you protect your legal rights and fulfill your responsibilities. What are the ramification of signing a promissory note? The best way to understand the legal ramifications of what happens if you must sign one is to start with the basics. Although creating one is relatively simple, it’s important to read it before signing it. There are specific things to look for when reading it. Pay attention to the specific dates for payments and whether any payment will need to be a lump sum. Equally significant are the financial penalties of late or missed payments. You'll want to check the interest rate as well. Usury laws in your state specify the maximum interest rates for the repayment of a debt. No one has the right to ask you to pay any interest rate above and beyond what the law indicates. Look for an acceleration clause. While it’s not always used, you’ll want to ensure that you read it if it is present. This is a provision that requires the payer to pay the entire amount owed if even one payment is missed. If you are not comfortable with this, you should consider not signing the note. How do you determine the validity of a promissory note? Validity of the promissory note template is also an important legal consideration. Are you absolutely sure that what you're signing is worded correctly? An improperly written document can certainly cause legal problems later on. To ensure that it is written correctly, you, as the payer, may wish to help the payee compose the document or you may both choose to get legal advice from a law firm. What’s the difference between a promissory note, IOU and loan contract? In terms of formality and legality, a promissory note lies somewhere between the other two documents. It offers more details, is more complex, and has more information than an IOU, but it is not as complex as a loan contract. 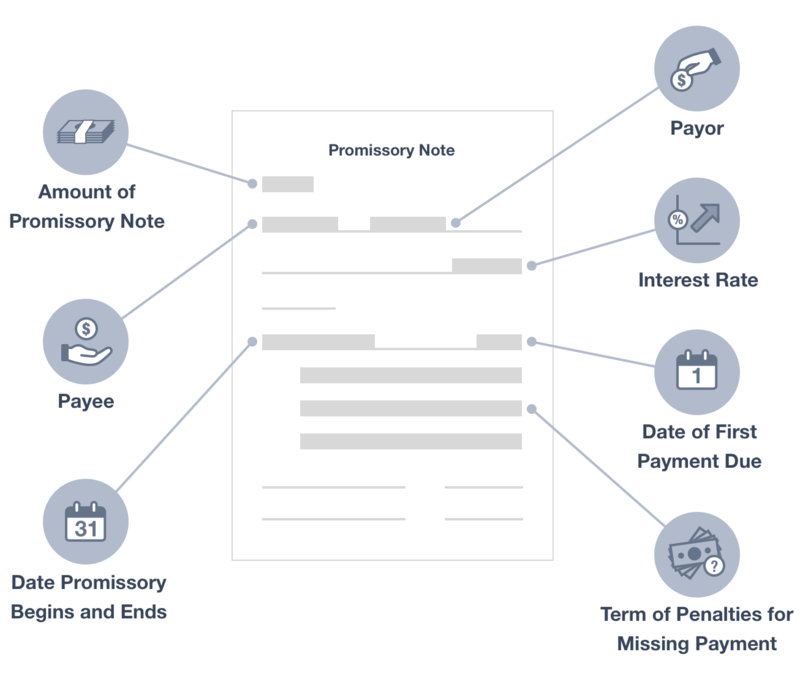 When and why do you use a promissory note? Lending or borrowing a large sum of money. Taking out a student loan. Avoiding a bank note or loan agreement because of credit score, employment status, etc. Wanting something more formal than an IOU. Wanting something more flexible than a loan agreement. Why Have a Promissory Note? Promissory notes protect both the borrowers and the lenders. For lenders, they legally ensure loan repayment and provide legal remedies if the borrower stops paying. They can help you avoid lawyer fees for recovering money owed, to demand payment, or to contest ownership of property. Additionally, they may also help you avoid the expensive IRS gift tax of 40%. For borrowers, they act as proof of purchase and ownership if the note involves the exchange of property; it potentially enables you to avoid paying taxes on the loan (or “gift”); and it allows you to avoid expensive lawyer fees if a legal dispute over payment or property. Promissory notes give peace of mind and legal documentation of a financial relationship between two people. When it is issued between friends or family, the peace of mind and safety provided can potentially protect relationships by clearly explaining processes and legal options if there is a dispute, late payment, or default. A promissory note is not always a better alternative to a traditional bank loan (sometimes called commercial papers). However, in certain situations it may be more desirable. Consider the following when deciding between a promissory note and a traditional bank loan. The borrower’s credit score. Bad credit can result in paying a higher interest rate or prevent borrowers from qualifying for a bank loan altogether. Promissory notes allow anyone to become a lender. Promissory notes allow for a borrower/lender arrangement that is more flexible. A promissory notes allows for creativity on repayment options, interest rates, etc. What to consider when creating a promissory note? Find a sample promissory note to ensure that the essential elements are present. Without the right elements, your agreement may not be legally valid. Those elements were discussed above. Remember to have the note signed and dated. In this step, enter the information that lays out the terms and conditions of the promissory note. In this step, the receiver promises to pay back the loan amount to the lender plus interest. Here, the information of both the promissory note maker and holder is recorded, as well as the other terms of the agreement, such as the interest rate and fees. 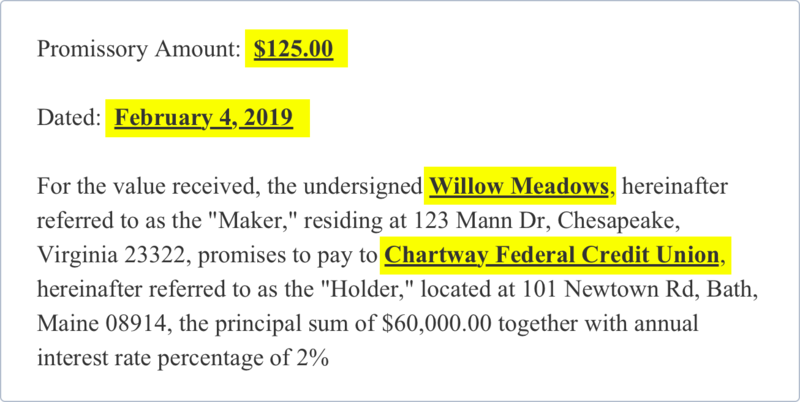 Enter the the principal sum of the amount being loaned to the note holder, and whether or not any interest or fees will be charged to the principal. State how often the note holder will make payments on the loan, and enter the date the payments will begin. Next, enter the terms of the agreement if the receiver fails to make payments on time. This information will include the grace period, late fee (if any), and late fee amount. Promissory notes can be secured or unsecured. Secured notes allow the lender to hold an item of value while the borrower pays back the loan. If the borrower defaults, the lender may keep the item. Unsecured notes come with no physical item or property to guarantee the loan. If the loan will be secured, describe the collateral below. State whether or not the note maker will be able to sell or transfer the rights of the note to another party. To certify that both parties agree to the terms of the promissory note, be sure that both parties sign and date the agreement. If notarization is required (which is common with peer-to-peer loans), be sure to have the notary public sign and date the Notary Acknowledgement section below. A promissory note is a financial instrument that contains a written promise by one party to pay another party a definite sum of money either on demand or at a specified future date. Once a lender executes a promissory note, he/she keeps the original of the promissory note. This promissory note contains the borrower’s signature and the lender’s signature. In the case of a dispute, the borrower can use this original with the borrower’s signature in court to prove that the borrower did, in fact, promise to repay the money he/she borrowed. In the normal course of a note, the lender will ultimately accept full payment of the loan on a timely basis as laid out in the note. The borrower satisfies the loan only by repaying the entire amount owed on the note. The lender or “holder” will also no longer have a need to hold onto the promissory note once fully paid. The lender will then prepare the promissory note to return it to the borrower. The borrower’s possession of the fully paid note is his/her proof that the debt was satisfied. The lender must mark “paid in full” on the original promissory note. Stamp this notation onto the promissory note or make the notation in written form. The lender can also mark “cancelled” or “satisfied in full” on the promissory note, in lieu of the “paid in full” notation, it must be clear language that indicates to the reader that the note has been paid. 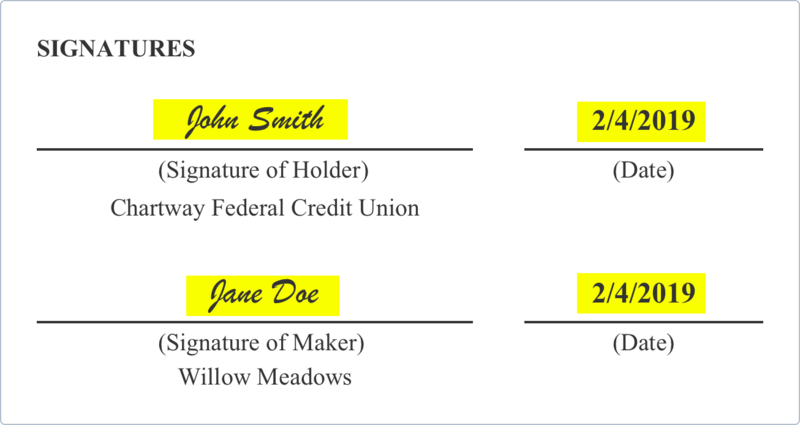 It is best practices to place a signature beside the “paid in full” notation. The lender must sign and date the front of the promissory note beside the “paid in full” notation. The date the lender includes on the promissory note should be the date on which the borrower made the final payment on the loan. Mail the original promissory note to the borrower. Once the borrower receives the promissory note, the borrower should let the lender know that he/she has received the original promissory note. To ensure that the borrower has received the original promissory note, the lender should send the promissory note via certified mail, return receipt requested. Whether you're considering lending money to a friend or loved one and would like to document the agreement, you’re looking to borrow a sum of money without going through a bank, or you're a college student (or parent of one) sorting out what exactly a Master Promissory Note entails, this guide should provide you with all of the information you need to decide if this sort of agreement is best for you. Remember to read the note (in its entirety) and ask questions (or get legal advice) if you don't understand the contents before you sign it. A Promissory Note is a signed document that establishes terms of a loan generally made informally between e.g. friends, family or colleagues. It sets out terms of repayment, period when outstanding balance must be paid and details of the parties. It must be signed by lender and borrower. A bill of sale is used when someone is selling their personal property to another person. A common example is a car sale between two individuals. A Personal Finance Statement sets out your personal net worth at any given time. It details the value of your accumulated assets, including stocks and shares, tangible assets, such as real estate, jewellery, bullion, cash, investments or other items which hold value. It also details liabilities. A Warranty Deed is a legal document that clarifies ownership of property and right to sell to a buyer.